In the early months of 2010, Gary Ablett was approached by an avid Stockport supporter in a supermarket in the village of Burscough, West Lancashire, not too far from his home and around half an hour away from Anfield and Goodison Park, the grounds he had graced as a player and coach. Stockport was a club in turmoil, sat at the bottom of League One and being slowly drawn towards an inevitable relegation. Having slipped into administration towards the tail end of the 2008/09 season, the club had been forced into the peculiar move of making their previous manager, Jim Gannon, redundant. Ablett, having led the Liverpool reserve team to both the North and National Premier League Reserve titles in 2008, was identified at Edgeley Park as an upcoming coach who might be looking to stretch his wings into the front line of Football League management. Appointed in early-July, it didn’t take Ablett long to discover that he had dipped his toe into murky waters at Stockport and that the ship was listing badly. By December, they had sunk to the foot of the table, a position they wouldn’t relinquish for the rest of the season. When Ablett was approached in that supermarket in Burscough, he was wary of the direction the conversation was going to drift with the Stockport supporter. Fortunately, it was a Stockport supporter who could see beyond the pitch and the league placing and to the near-thankless task Ablett had taken on. Being told his efforts were appreciated, at least by one Stockport supporter, must have made Ablett’s shopping expedition that little bit more bearable. Less than two years later, Ablett died after suffering with Non-Hodgkin Lymphoma. He passed away on New Year’s Day 2012, aged just 46. On the football field, Ablett still owns a unique piece of history. He is the only player to win the FA Cup for both Liverpool and Everton. 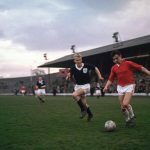 Converse to the way Liverpool-born players are idolised by both the Anfield and Goodison faithful in contemporary terms, Ablett was widely underappreciated by Liverpool fans in the late-1980s and early-90s, at a time when local players were given a harder time than those from outside the Merseyside region. Ablett was by no means on his own in this respect. For any scouser to be walking on to the pitch at Anfield or Goodison at the time, when trophies were being collected as a course of habit, they were carrying the dreams of a city with them. They were living the dream of those who clicked through the turnstiles, and they had to be word perfect in doing so. Any dip in form, any free-kick or penalty given away, any header outjumped for, any goalscoring opportunity missed, the admonishment from the stands and terraces would be sharper than it would for those born anywhere else. Ablett came through at a time when the giants of Alan Hansen, Mark Lawrenson, Gary Gillespie and Steve Nicol roamed the Liverpool back line, with local players making the breakthrough at Anfield a rarity. Sammy Lee had been the last youth product to make a prolonged visit to the Liverpool first team, while in the 1985/86 season, Mark Seagraves had deputised for Gillespie in two cup ties without ever playing a league game. When Ablett’s opportunity arose, away to Charlton in December 1986, filling in for the injured Hansen, it was with a sense of pride and trepidation that he would have taken to the pitch at Selhurst Park. 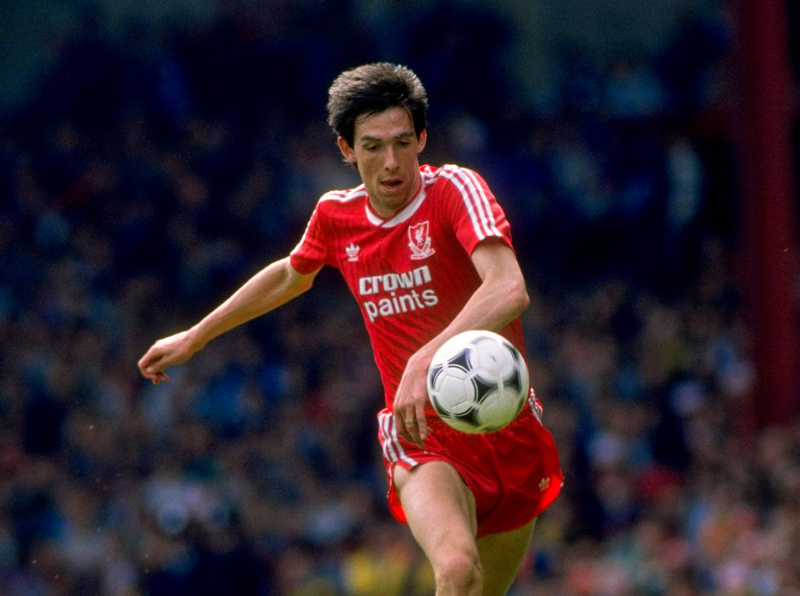 While he ran on with Hansen’s number 6 on his back, Ablett made his debut on the left side of midfield, beginning what was a nomadic role in the Liverpool first team squad. A left-back by nature in the reserves, when he returned to the starting line-up in April in his more familiar position, Ablett did so during a defensive crisis at the club. The loss of Jim Beglin to a horrific broken leg in January, a litany of niggling injuries suffered by Nicol, and a devastating ruptured Achilles for Lawrenson brought Ablett back into contention. 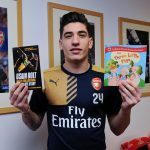 Selected to face Nottingham Forest at Anfield, he made a goalscoring return during a 3-0 victory, holding onto his place in the team for games at Old Trafford against Manchester United, his first Merseyside derby at Anfield, and away at Coventry City. 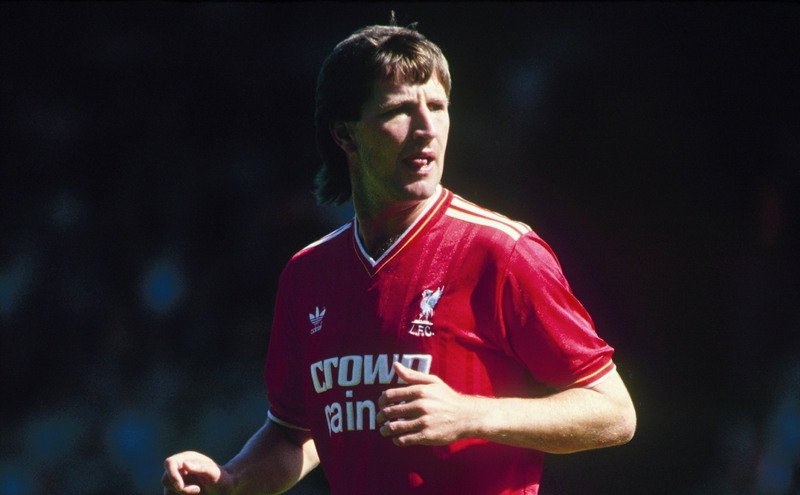 Just short of a fortnight prior to returning to the team against Forest, Liverpool had gone into the League Cup final against Arsenal with Ronnie Whelan playing at left-back. They were beaten 2-1, and Ablett’s performances beyond then had possibly suggested that Kenny Dalglish might have been better served fielding the inexperienced Ablett at Wembley instead. Omitted from the team for the last two games of the 1986/87 season and on the outside looking in as the 1987/88 season started, Ablett once again bided his time in the reserves. When Gillespie succumbed to a thigh injury prior to the FA Cup fourth round trip to take on Graham Taylor’s Aston Villa at the end of January, Ablett was drafted in to cover at left-back, while Nicol shifted across to centre-back. Expected to be a short-term situation, Ablett held on to the position for the remainder of the season, as when Gillespie returned to fitness, Barry Venison immediately picked up an injury that ruled him out of the run-in. Combined with the permanent loss of Lawrenson when his Achilles ruptured for a second time, Dalglish’s options at the back had suddenly become thin. Gaining in the confidence of playing every week, Ablett unarguably had the best job in English football for the rest of the 1987/88 season; that of playing behind the unstoppable John Barnes. League title won in style, Ablett was in the team that dismantled Nottingham Forest 5-0 at Anfield in April – the game that unwittingly marked the very zenith of the Liverpool empire of the 1970s and 80s. Reaching the FA Cup final, it was meant to be a simple job to collect a second league and cup double, yet Wimbledon had ideas of their own, taking advantage of a Liverpool team that had clinched the title three weeks earlier and had cruised their way to Wembley in the month that had passed since that masterclass against Forest. During the following season, Ablett unexpectedly became the lynchpin of the Liverpool defence. Having not purchased a replacement for Lawrenson, with Hansen’s increasing knee problems eventually ruling him out until April and with Gillespie falling victim to a string of minor injuries, Ablett moved to centre-back, where he played alongside half a dozen different partners. A torrid start to the season was remedied in the New Year and the title was only lost with what was almost the last kick of the campaign on that incredible night against Arsenal at Anfield. Ablett was, of course, part of the Liverpool team at Hillsborough on the day 96 supporters were lost in an entirely avoidable crush in the Leppings Lane terrace pens. As a son of the city, the devastation was even more pronounced. Liverpool went on to beat Everton in the 1989 FA Cup final, on a blisteringly hot, emotional and dramatic day at Wembley, Ablett claiming the first of his two winners medals. In the summer of 1989, Liverpool made the central defensive reinforcement they should have 12 months earlier when they beat Manchester United to the signing of Glen Hysén from Fiorentina. With Hansen and Gillespie fully fit once again, it meant that Ablett dropped from first to fourth-choice centre-back. In his season-long absence from the left-back position, Steve Staunton had emerged from the reserves, while David Burrows had been signed from West Brom. Having largely held the Liverpool defence together during the previous season, Ablett was now classed as no more than a reserve option. 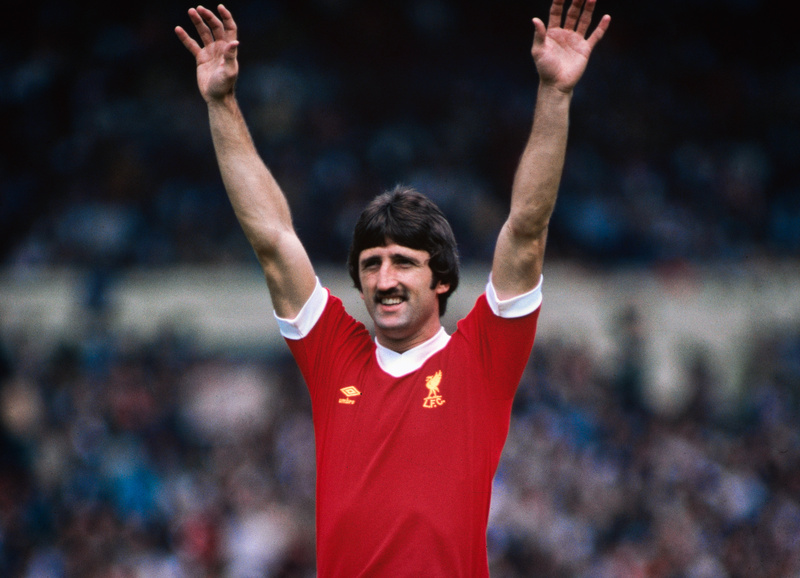 He played intermittently during Liverpool’s 18th title-winning campaign but clocked up enough appearances to collect a second championship winners medal, despite remaining frustrated on the sidelines. During 1990/91, Hansen finally succumbed to his knee problems, heading into retirement, and with Gillespie troubling the physio’s room as much as the first team, opportunities to play increased once again for Ablett, becoming one of the many players through the revolving door to partner Hysén at centre-back, even excelling as a man-to-man marker in central midfield when shadowing Paul Gascoigne at White Hart Lane against Tottenham. As 1991/92 arrived, so did a new challenge. 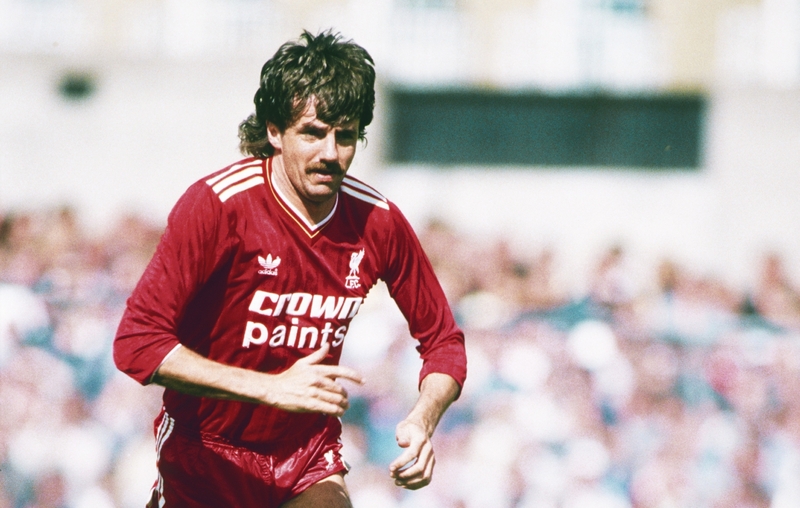 With Dalglish departing the club, eventually succeeded by Graeme Souness, the big-money signing of Mark Wright brought a new rival at centre-back. Yet, Ablett played on a regular basis after Wright suffered an early Achilles injury. This turn of events was further facilitated by a downturn in the form of Hysén and the departure of Gillespie to Celtic. The added transfer of Staunton to Aston Villa meant that Ablett was also now the prime back up at left-back to Burrows if Nicol was preoccupied in another position. However, finding himself increasingly criticised for his performances in what was a collectively culpable defence, Ablett became an easy scapegoat. Despite his value as an English player, during the season that marked Liverpool’s return to European competition after the Heysel ban, at a time when there was a limit on how many foreign players a team was permitted to field in major European tournaments, Souness began to listen to offers for most of the players he had inherited. Even the English ones. In January 1992, Ablett followed in the footsteps of Peter Beardsley, who had made the move in the summer of 1991, by making a shock switch to Everton. While it wasn’t a surprise that Ablett had been allowed to leave the club, his destination took most observers unawares, as the very recent media reports had been that Venison was going to be the man making the move to Goodison instead. Having made his Liverpool home debut against the very same opponents, it seemed apt that Ablett made his Everton debut at Goodison against Nottingham Forest. Football can change so quickly; it was only three weeks earlier that he had played at Goodison in the Liverpool team during the Merseyside derby. Initially coming into the Everton team at left-back in place of the ageing utility-man Alan Harper, Ablett eventually switched to centre-back alongside Dave Watson a year later, when Martin Keown was allowed to return to his first club, Arsenal, for a handsome profit. Ablett’s time at Everton was almost a complete about-face when compared to his period at Liverpool. While at Anfield he had never felt assured of his place in the team, at Goodison he was given the security that, if he played well, he would keep his place. However, while exchanging the instability of his place in the Liverpool team for greater stability at Everton, he also exchanged a team chasing honours for one becoming increasingly mired in mid-table water-treading. Everton finished in 12th in the last season of the old First Division and 13th in the inaugural Premier League campaign. For a player who had never finished lower than second before, it would have been a culture shock. Taken to Goodison by Howard Kendall, Ablett experienced a tumultuous first three-and-a-half years at Everton, inclusive of the sale of the club by the Moores family to Tranmere Rovers chairman Peter Johnson, the departure of Kendall, the ill-fated reign of Mike Walker and the near-relegation of 1993/94, before a nail-biting redemption under Joe Royle that led him to his second FA Cup winners medal. When Kendall walked away from Everton for the second time in December 1993, he did so under a point of principal. Denied his request for funds to sign Dion Dublin, after coming to an agreement with Alex Ferguson for the services of the player, Kendall had just overseen a home victory over Southampton that had left his team in 11th place. Taking just one point from the next seven games under the caretaker leadership of Jimmy Gabriel, Everton moved to appoint Norwich manager Mike Walker at the beginning of January 1994. Having taken Norwich to an eight-point lead at one stage during the first Premier League season, before eventually settling for a third-place finish that obtained them qualification for the UEFA Cup – upon where he led them to a famous victory away to Bayern Munich – Walker’s appointment wasn’t as left-field then as it seems now. It was in hindsight, however, a disastrous move. When Everton travelled to Leeds for their penultimate game of the season, the 3-0 defeat inflicted upon them dropped them into the relegation zone. Ablett was now staring at the unthinkable. Four years on from winning his second league winners medal, he was on the brink of relegation with one of the biggest names in English football. 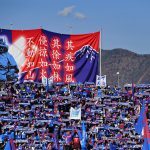 Everton were left with no option: win their last game of the season to have any hope of surviving the drop – and even then, that would be dependant on other results helping them out. 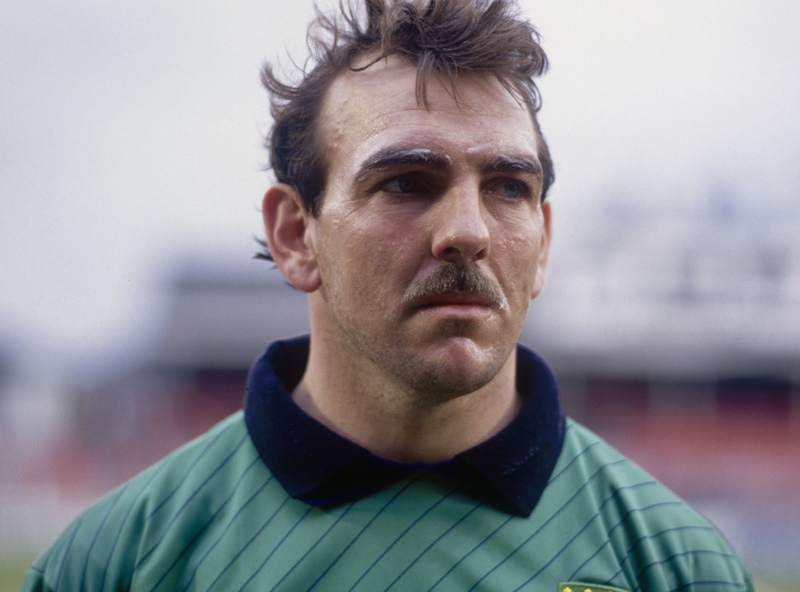 When Ablett cataclysmically guided the ball past Neville Southall just 20 minutes into the game, it put Wimbledon 2-0 up. The unthinkable looked set to become reality. 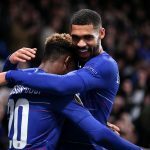 An eye of the storm fightback turned the game around, however, and Everton survived to fight another day thanks to Ipswich labouring to a draw at Blackburn and Sheffield United falling to a last-minute defeat at Chelsea. If the hope had been that Walker’s first half-season in charge of Everton had been the victim of teething problems, then the first two months of the 1994/95 season proved that manager and team were simply ill-matched to one another. It was November when Everton procured their first win of the season. Despite this, Ablett was one of his team’s star performers and it was his goal that secured their first victory. With the Merseyside derby looming, Walker was shown the exit door at Goodison, even though he actually garnered four points from a possible six in his last two games in charge. Royle’s first game in charge was the visit of Liverpool. An electric 2-0 win completely changed the complexion of the season for Everton. Another two league victories took them out of the relegation zone, and while they picked their way through a difficult run in the FA Cup which took them past an expensively assembled Derby, the stubborn Bristol City, a wounded Norwich, Kevin Keegan’s Newcastle United, a talented Queens Park Rangers and the Jürgen Klinsmann-inspired Tottenham Hotspur, to take themselves to a Wembley showdown with Manchester United, it proved to be a cup run that provoked them to occasionally take their eye off the league. Never quite in danger of slipping back into the relegation battle, but never truly threatening the top half of the table, Everton were rising to the big battles but drifting through many of the lesser challenges. When Ablett walked out at Wembley for the 1995 FA Cup final, it was in stark contrast to the other two he had played in. This time he was amongst the defined underdogs; a team given the semi-dubious nickname of the “Dogs of War”. Against the odds, Everton beat Manchester United, 1-0. It was Ablett’s finest moment in an Everton shirt, but it was also the beginning of the end for him at Goodison. In the summer of 1995, Royle was handed the biggest transfer budget in the history of the club. While Andre Kanchelskis was the highest-profile signing, the arrival of Craig Short meant that Ablett was falling down the pecking order, just as he had at Anfield in the summer of 1989. One last season at Everton followed, where he managed only 13 league appearances, and a loan spell at Sheffield United, before he accepted a transfer to Birmingham City, dropping down a division to team up in central defence with Steve Bruce in Trevor Francis’ attempts to bring top-flight football back to St Andrew’s for the first time since 1986. Ultimately unsuccessful in obtaining that target, Ablett still gave Birmingham solid service, just as he had Liverpool and Everton. Another loan spell, this time at Wycombe Wanderers came, before he took up the offer of games at Blackpool under his former Liverpool teammate, Steve McMahon. The last ball of Ablett’s professional career was kicked for the Long Island Rough Riders in the American A-League. An unsuccessful trail at Grimsby Town in February 2002 acted as the precursor to the start of his coaching career that same summer, returning to Goodison as Everton’s under-17 coach, then heading back to Anfield in 2006. 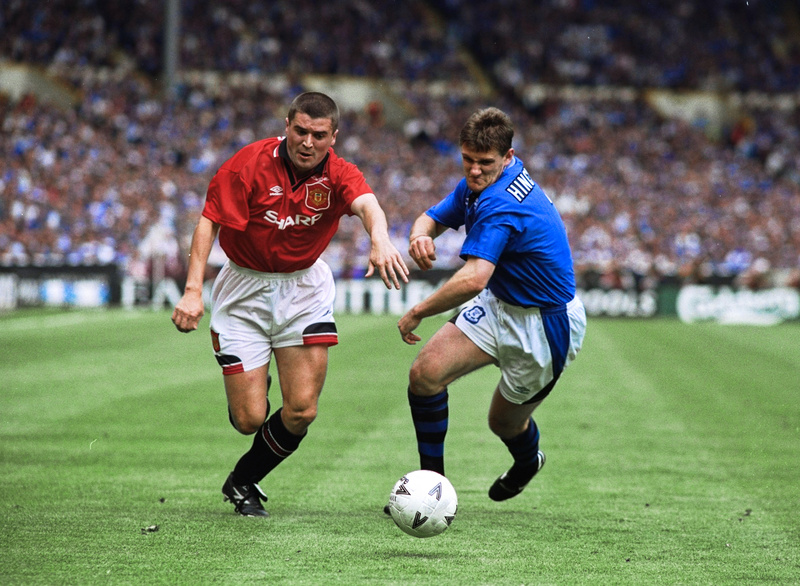 It was after his testing year at Stockport that Ablett became ill – on the training ground at Ipswich Town – having been brought to the club by Roy Keane. Within 16 months of his diagnosis for Non-Hodgkin Lymphoma, he was gone. His passing stunned football, particularly the clubs he had served. At Ablett’s funeral, attended by the great and the good of Liverpool and Everton, he was played in to the tune of You’ll Never Walk Alone and played out to the tune of Z-Cars, the respective anthems of the red and blue halves of Merseyside. Gone way too soon, the underrated Gary Ablett’s place in Merseyside footballing folklore will forever be immortalised, however, as the only man to win the FA Cup for clubs on each side of Stanley Park.